Which playoff journey would make the best movie? We like their team. We love their story. They are a blockbuster, a blend of abilities and personal stories. There are thrills and chills and re-inventing themselves and tiny successes adding up big ones. Isn't that like every movie you've ever seen? And so we prepare for another sequel. The Lightning Strikes Back, maybe. Mr. Vasilevskiy Goes to Washington. Silencing the Other Lambs.Something snappy. Something memorable. they will be chasing one legitimate superstar, and a superior goaltender. This time, they try to get to within one series of the Stanley Cup. The Lightning playoff is just 10 games old, but already, you can see the legacy of this team. It's a team that was falling, and then it was flying. There has rarely been a team that saw his mojo slip away from it, and then it refocused itself. It became more physical. It became more precise passing. It became incredibly balanced. And it won. Ah, but which tale of success would be better? Who would have the better screenplay if they were to pull it off? Which team would make the better movie? 1. 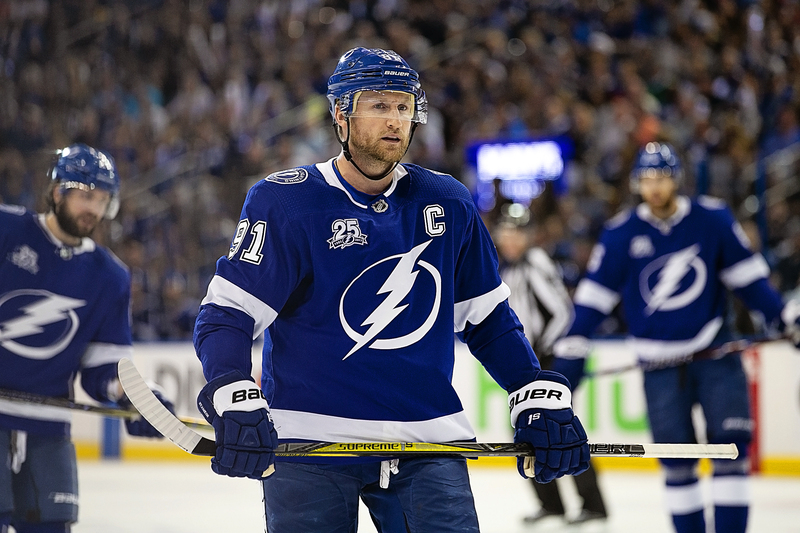 Tampa Bay Lightning: The Lightning would be a tale of rediscovery, of a team that started to show vulnerability, and then recovered. It would be a balanced cast, like an Avengers movie, perhaps, after 12 players scored 17 goals in their most recent triumph. Oh, it's going to take some doing for Washington to find a bad guy as bad as Brad Marchand, who would rank somewhere between Hannibal Lecter and Darth Vader on Tampa Bay's most despised list. But it's possible. Brad Richards once said the key to playoff hockey was learning to hate the other guy. So who stars for Tampa Bay? How about Steven Stamkos and his Russian teammate Nikita Kucherov? You know, a Man from Uncle theme. How about the defenders, who have grown some knuckles lately? 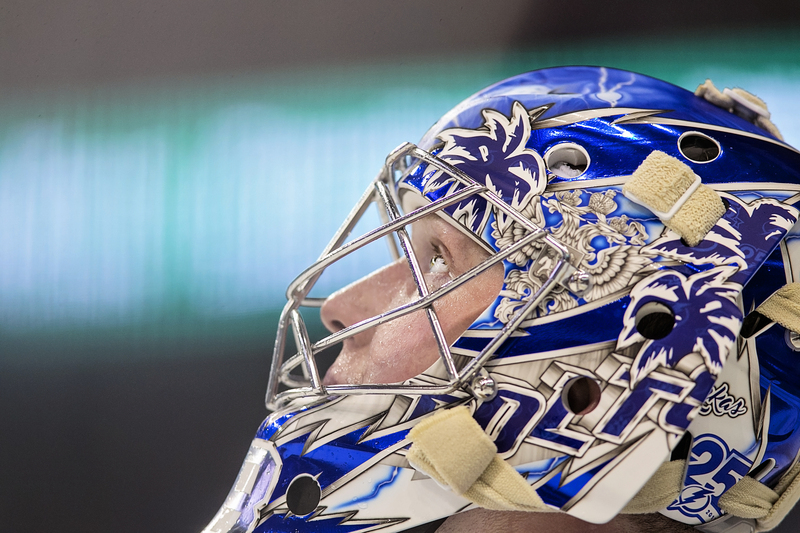 How about Andrei Vasilevskiy, who has been excellent, but has room to be even better? Brayden Point? Tyler Johnson? Alex Killorn? 2. Las Vegas Knights. The Knights are a perfect sports movie, a team that didn't exist a year ago. Oh, after the expansion draft, you knew the team was good. But did you know it was this good? William Karlsson didn't.Karlsson had six goals for Columbus last year. This year, he had 43 goals and 78 points. Yeah, everyone saw Marc-Andre Fleury coming, but Karlsson? He's the star from nowhere on the team from nowhere. Alex Ovechkin, too, has had his frustration. He's played in 1,003 games without ever appearing in a conference final. He's scored 607 goals, but none of them really mattered. One man's journey through failure is always great drama, isn't it? 4. Winnipeg Jets: Canada's hope. The speedy Jets have been a quiet force most of the season, a fast, hungry team. Just look at the way it went into Nashville to knock off the Predators, who had been the best team in the league. The Jets are a good defensive team, too. So, yeah, there are a lot of interesting storylines for every team. We just happen to be watching the one about the Lightning most closely. Kucherov, the best player in Round One? Point, the best player in Round Two? The casting call beings tonight. Next post: Will the heat block Vea’s progress?